We have updated our website to make it more appealing and hand-held device compatible, as we take advantage of the new advancements in website design. 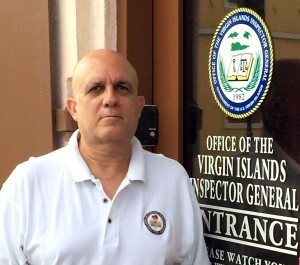 Every attempt has been made to keep the site easy to navigate, yet providing valuable information on the operations of the Virgin Islands Inspector General’s Office. We want to thank iDesign Studios for the excellent work in creating this website. As you peruse the various pages of this site, you will learn more of what we do, and about our history and staff. You will be able to download our legislative authority and our major reports issued over the past several years. We have answered ten (10) of the most frequently asked questions. Job descriptions and salary ranges are available, as are vacancy announcements. A Government of the Virgin Islands employment application can also be downloaded. Links to other Virgin Islands Government, Federal Government, other inspectors general and audit offices, and Virgin Islands news are also available. If you would like to contact us, you can find our e-mail addresses. Finally, if you are aware of fraud, waste or abuse in the Virgin Islands Government, you can contact us by e-mail, mail, or telephone. I hope that once you have visited www.viig.org your experience will be rewarding, informative and educational.